1. 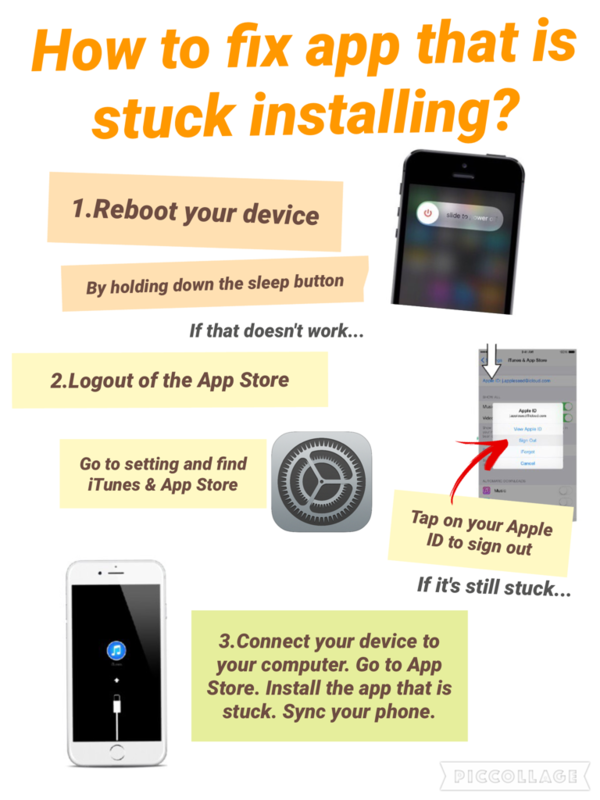 Reboot your iPhone normally. 2. If the apps are still stuck on the home screen, try logging out of the App Store temporarily. Navigate to Settings -> Store -> Apple ID -> Sign Out. Now open the App Store and Navigate to the Featured section. Scroll to the bottom of the page and touch the Sign In -> Use Existing Apple ID. Log in and the stuck apps should reset.